ON BOARD THE PAPAL PLANE - Pope Francis announced Wednesday he will visit Japan in November, becoming the first pontiff to do so since John Paul II nearly 40 years ago. 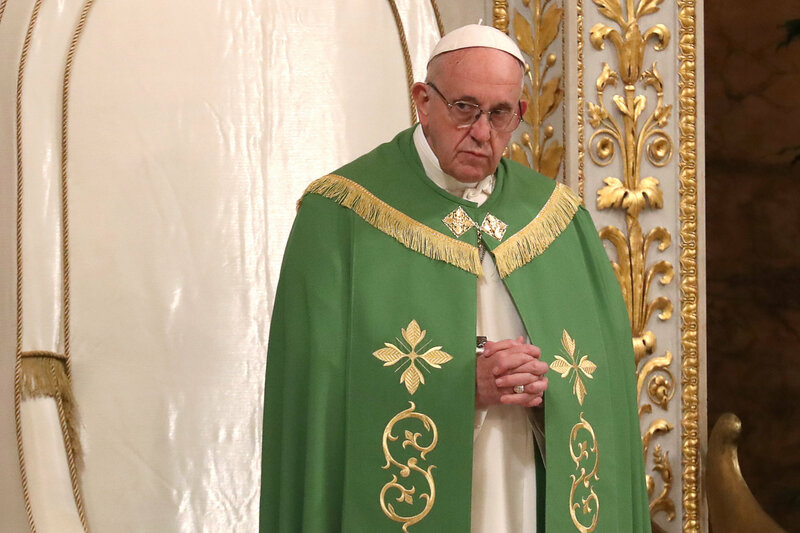 The Argentine pontiff has repeatedly voiced a desire to visit Japan, home to some 450,000 Roman Catholics, and around 510,000 Protestants. 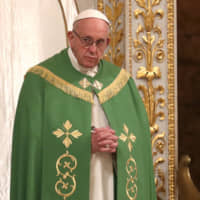 But during his five-year papacy he has repeatedly spoken in admiration of the missionary work carried out by his Jesuit order to bring Christianity to Japan in the 16th century, and of the martyrs who suffered from the anti-Christian persecution that ensued. Any papal visit to Japan would certainly include a visit to the 26 Martyrs Museum and Monument in Nagasaki at the site where 26 Christians were killed in 1597. Visiting Nagasaki would also allow Francis to draw attention to its devastating atomic legacy. In January last year, Francis issued a harrowing photograph taken in 1945 showing a young Japanese boy carrying his dead brother. The child, carried on the boy’s back, was killed when the United States dropped the A-bomb on Nagasaki. The mayors of Hiroshima and Nagasaki have reportedly asked Francis to visit to encourage the survivors. And Japan’s bishops have been urging him to visit since he was elected, in part to honor the “hidden Christians” who kept the faith alive during decades of persecution.